Ocean View Guest House in Struisbaai offers luxury accommodation with Bed and Breakfast. Holiday accommodation by the sea does not get any better than this, with spectacular sea views of the Atlantic Ocean. We are situated in the picturesque holiday town of Struisbaai, less than 4 kilometres away from the Agulhas Lighthouse and the Southernmost Tip of Africa. Nothing beats this family run Struisbaai Guest House at the southernmost tip of Africa. Your hosts, Sarah and Jaap Smit, are active members of the Struisbaai and Agulhas community and have lived in the area for many years. We have a wide knowledge of the people and the area in and around Struisbaai and Agulhas and are only too eager to share our knowledge and hospitality with our guests. Come for a tranquil holiday and enjoy our beautiful golden sandy beaches, magnificent sea views, and the Lighthouse at Agulhas, excellent cuisine, exciting fishing, and whale watching or simply enjoy the comforts of the perfect holiday destination. 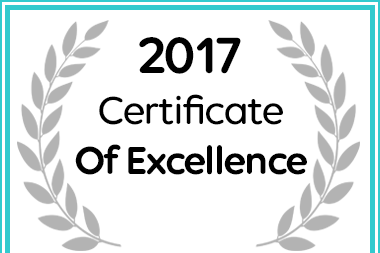 In recognition of exceptional service Oceanview B&B in Struisbaai has been awarded a Certificate of Excellence.